Film Available NOW for Download! 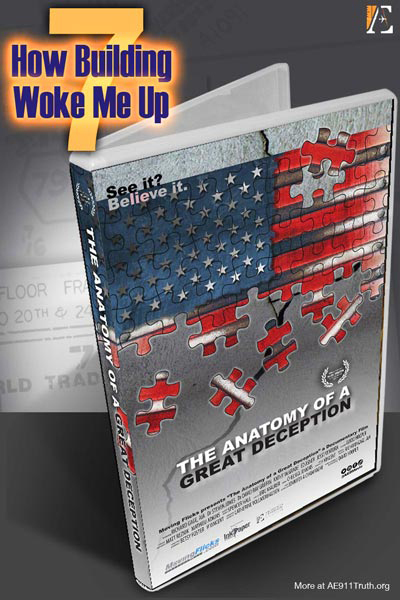 I'm Dave Hooper, the guy behind The Anatomy of a Great Deception (AGD). We just opened the movie in Detroit on Friday, September 5th. As far as I can tell, it was received very well and it's garnering good reviews. But that's not the reason for my note. Along the way, I learned a lot about movies — including such things as unexpected roadblocks that cause delays. When AGD was being prepped for theater/DVD sound and color, we planned on a late-August wrap-up date. Instead, it was finished at 11:00 on the morning of opening night. Gulp. The bottom line, I'm very sorry to report, is this: The DVD release is running 10 days late. I feel terrible about this. I know some of you plan to show the DVD on the 11th. Thankfully, all is not lost. Here is where we stand and what we can do about it. The DVD will start shipping within the next day or two, so you should have your copy soon. In the meantime, we are making AGD available online, so you can download it and play it before you get the DVD. As soon as we've compressed it, we'll send out another email with the movie attached and/or several options (and instructions) for downloading it. Again, please accept my apologies. And keep in mind, please, that this is not the fault of AE911Truth; it's mine. Direct your questions to me, and I will do my best to answer them. Expect another email within the next 24 hours. In the mean time, If you want to create a DVD disc that works on any DVD player, we recommend downloading the ISO file here.